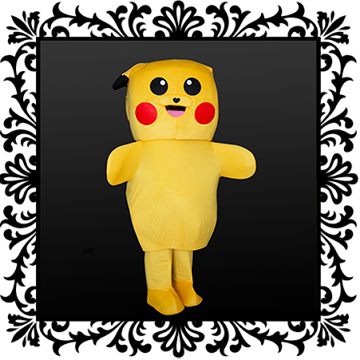 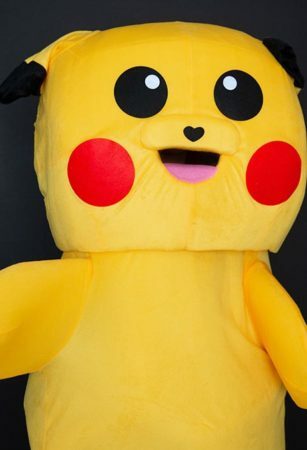 Our Pikachu is a plush mascot character available for your Pikachu-loving party guests. 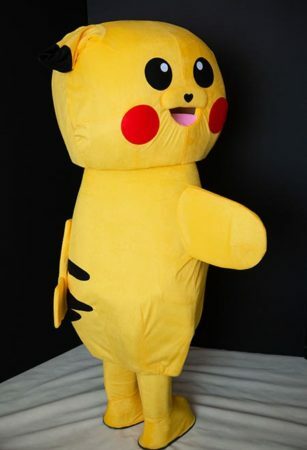 Your birthday human can capture this yellow creature for a party hour or two to mingle with guests and take fun pictures. 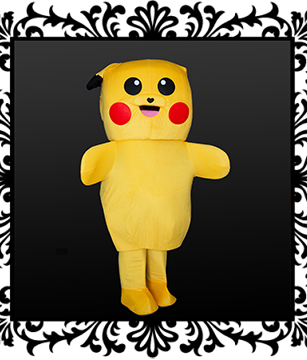 Don’t get him too close to your appliances though, he is known to have great electrical abilities! 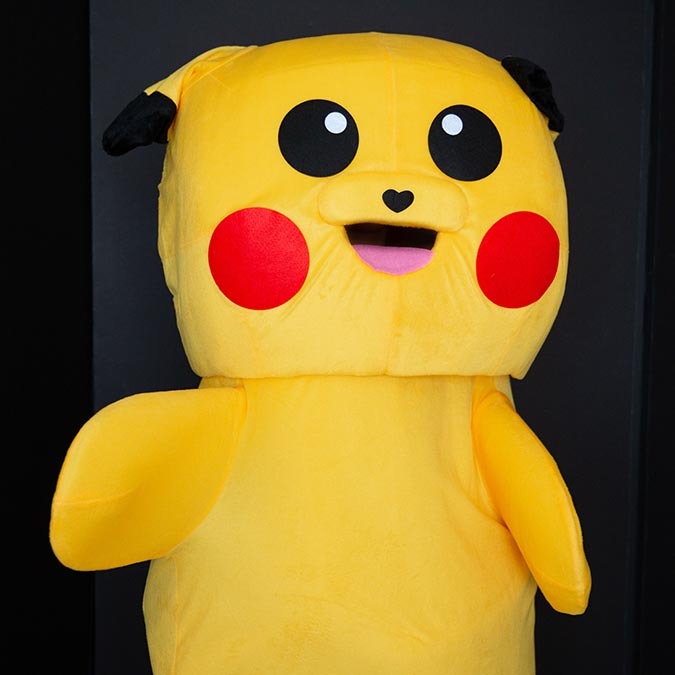 Pikachu mascot is available for parties, events and gatherings in Orange County, Los Angeles County and parts of Riverside County.